Dynamic Displays QES2014-108, 14 In Color CRT Monitors used in KLA Tencor. Model QES1512-238 12.1 In LCD replaces Dynamic Displays, Inc. QES2014-108, 14 In Color CRT Monitor used in KLA Tencor. 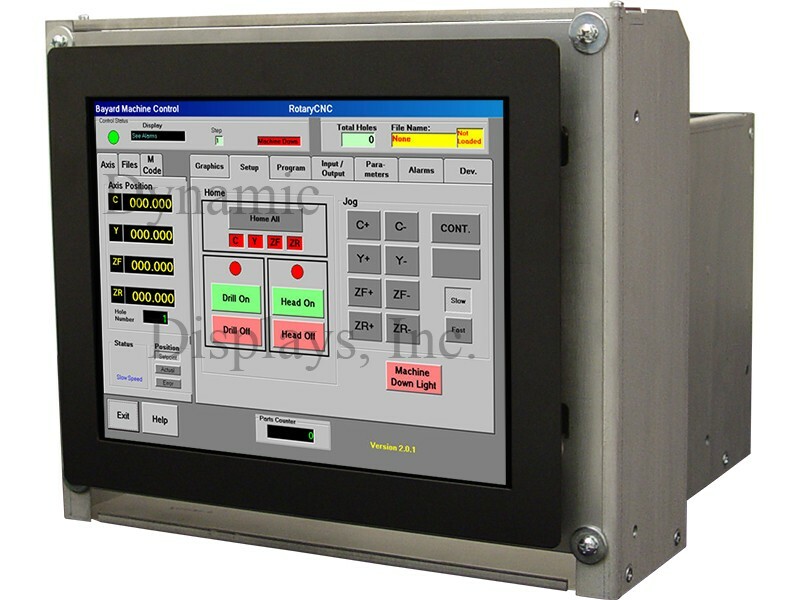 The rugged QES2012-238 is a sturdy 12 inch color RGB LCD monitor designed as a direct replacement for Dynamic Displays' QES2014-108 CRT monitor used in KLA-Tencor machine controls and other industrial applications. Packaged in an rugged open frame chassis, this sturdy 12 inch LCD monitor fits KLA-Tencor controls and in many other modern industrial or military environments.